Use for electric impulse acupuncture treatment. Music prompt function of the electrotherapy. HC-KWD8081 Multipurpose health device is a new product which has been incorporated merits of kind both at home and abroad. This device brings anew image to traditional acupuncture, the concept of no puncture, no needle with guaranteed therapeutic results. 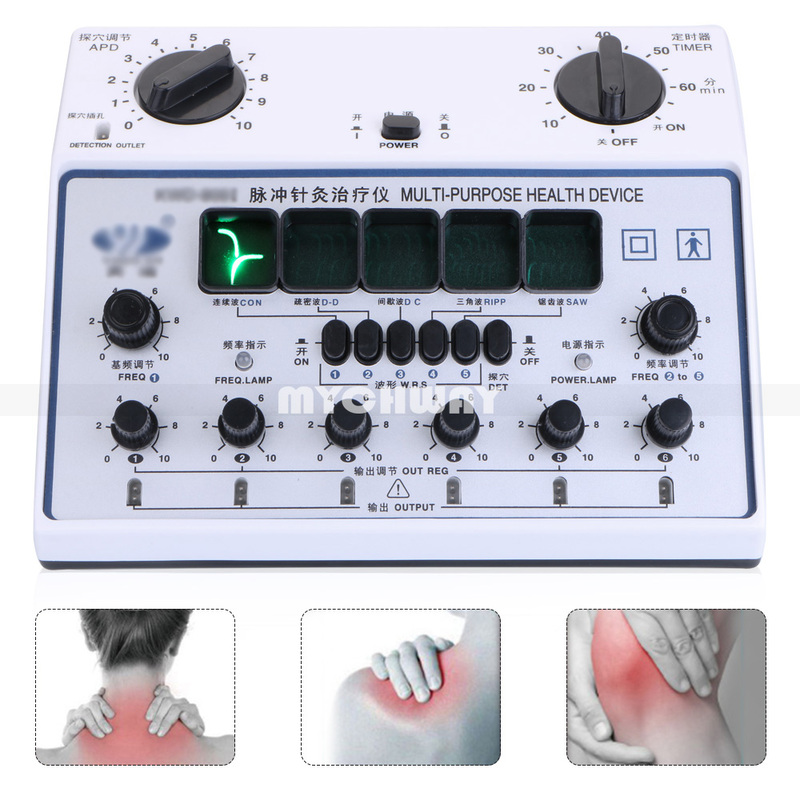 KWD808-I electronic acupuncture treatment Multipurpose health device with 6 channels can be used as a substitute for acupuncture and hand massage. The KWD808-I Acupuncture Stimulator is a professional level acupuncture apparatus designed for detection of acupuncture points, massage (TENS), and for applying acupuncture (electro-needle therapy) and magneto-therapy. Just like its sister model, the KWD808-II, the KW080-I features a built-in timer and can output 5 different kinds of waveforms, each indicated by a symbol which lights up when selected. The specific design tailored chiefly for clinics and hospitals. -Output Pulse frequency:1.2Hz~55Hz, the error range of±30% continuous adjustable. -Suitable Range of Voltage of Power Supply: AC 110~240V, 50Hz; DC 9V+5%, 9V-10%. -Range of Atmosphere Pressure: 500hpa to 1060 hpa.